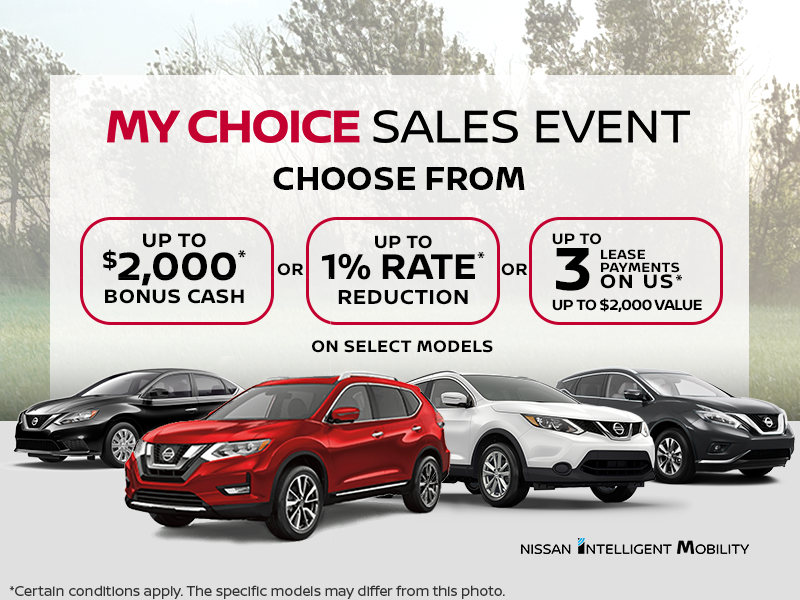 Home > Promotions > Sales > Nissan's My Choice Sales Event! Up to $1,500/$1,000/$1,500/$2,000/$2,000 payment waiver is available on the lease or finance of a new and previously unregistered 2019 Rogue/Sentra/Qashqai/Murano/Pathfinder model, on approved credit, from an authorized Nissan dealer in Canada between April 2-30, 2019. 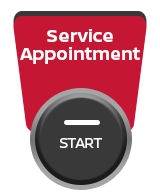 Up to the first 3 monthly lease/finance payments (exclusive of taxes) will be waived, up to the applicable maximum outlined above. After waived payments, customer will be required to make all remaining scheduled lease/finance payments over the remaining term of the contract. 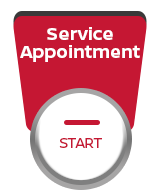 If the total of 3 monthly lease/finance payments exceeds the applicable maximum outlined above, then customer will be responsible for paying any difference. If the total of the 3 monthly lease/finance payments is less than the applicable maximum outlined above, then customer will not be credited with the difference. The value of a customer’s lease/finance payments will be impacted by the length of the term and the down payment, if any, as selected by the consumer. 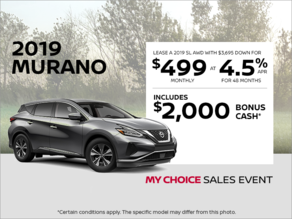 Bonus cash of $1,000/$1,000/$1,500/$2,000/$2,000 will be deducted from the negotiated selling price before taxes and is applicable to customers who lease, finance or purchase any 2019 Sentra/Qashqai/Rogue/Murano/Pathfinder models from a Nissan dealer between April 2-30, 2019. 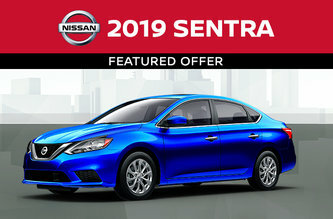 Limited time offer provided through Nissan Canada Financial Services Inc. (NCF) on approved credit. 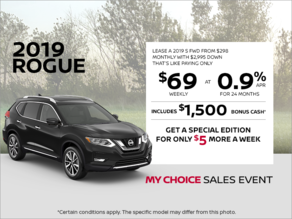 Up to 1% rate reduction is available on new 2019 Rogue/Sentra/Qashqai/Murano/Pathfinder models financed or leased from a Nissan dealer in between April 2-30, 2019. Customer will receive up to a 1% reduction off lease or finance rates currently available through NCF to a minimum of 0% APR. Under no circumstances can rates be reduced below 0% APR.